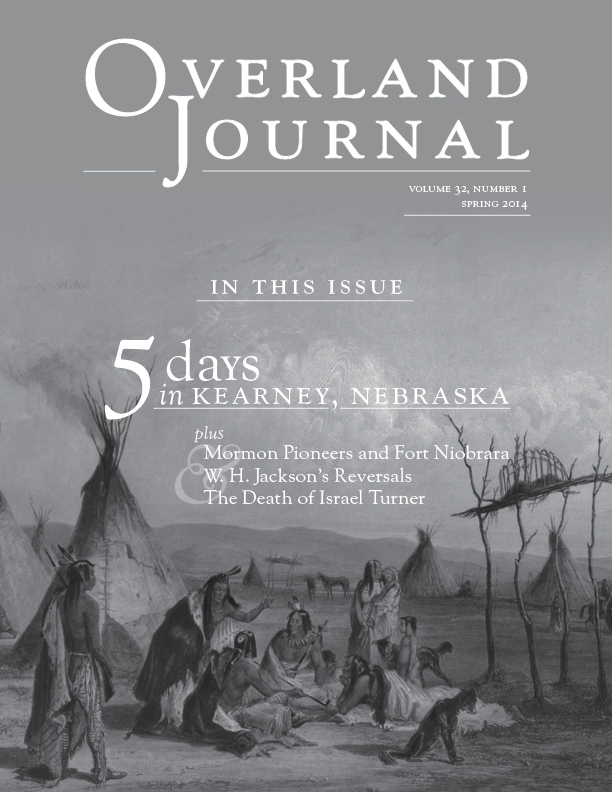 The spring 2014 Overland Journal has just gone to the printer! Here is the mailing wrap (more about why we do the wrap here). On the cover of this issue is Karl Bodmer’s Funeral Scaffold of a Sioux Chief, engraving with aquatint, 1839. Museum Purchase, Museum of Nebraska Art Collection. The smart readers know that if the design isn’t great, the words also don’t come off that well. You have enhanced both. The end product of another great collaboration!